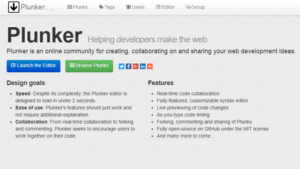 Plunker lets you add multiple files, including community generated templates, to kick-start your project. 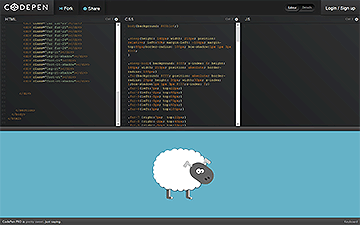 Just like CodePen, with Plunker you can create working demos, also in collaboration with other devs, and share your work. 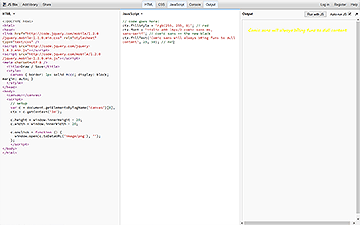 Plunker’s source code is free and lives on its GitHub repository. 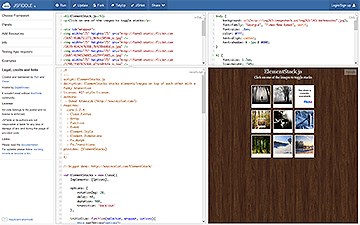 You can also add external libraries such as jQuery, AndgularJS, Bootstrap etc. quite easily in your workspace. 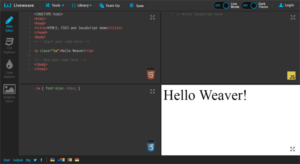 Furthermore, Liveweave offers a ruler to help you code responsive designs and a “Team Up” feature which has the same features as JSFiddle’s collaborative editing. There are, of course other options out there. Did we miss your favorite? Tell us about it! 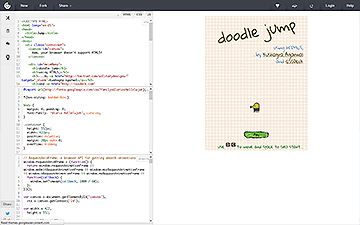 We haven’t talked here about online code playgrounds that will let you share back-end code too, such as CodeSandbox. For more on those, head over to James Hibbard’s round-up of online back-end code playgrounds for more information. If you’d rather host your own online development environment, check out ICEcoder (we have an article on it here). 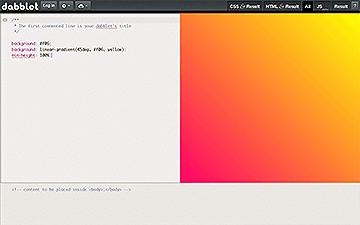 And if you’d rather not be online when messing with code, but want something similar, check out something like Web Maker (we have an article on it here).